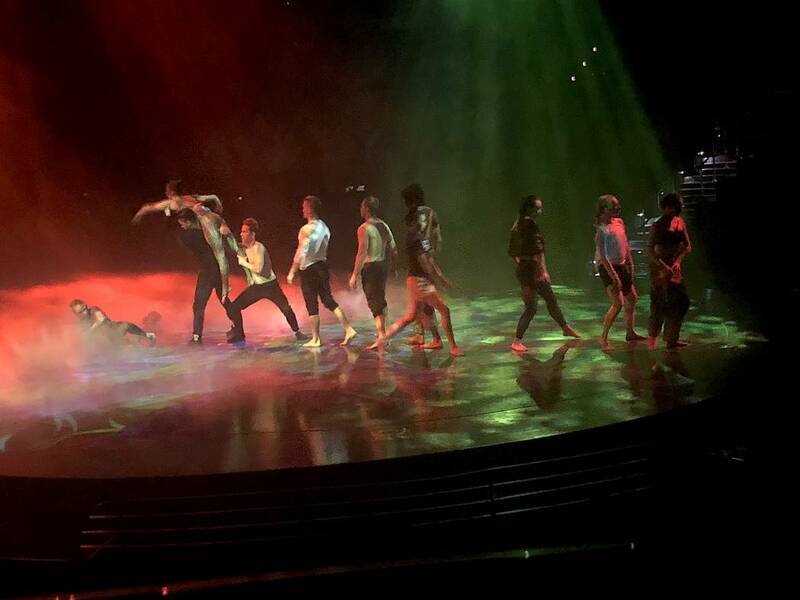 “ACS” is the annual colalboration between Cirque du Soleil and NBT artists. The event is set for 1 p.m. Sunday, and again Oct. 13-14. This year, for the first time, the format is seamless — no breaks in the action. The Kats! Bureau at this writing is a run-through for “Art From Art: The 11th Annual A Choreographers’ Showcase” at Mystere Theater. Seriously, this is where we’re working today. NBT Artistic Director Roy Kaiser was just sitting next to me while a clown (or, a guy dressed like a clown) raced past as he was chased by a bunch of kids. 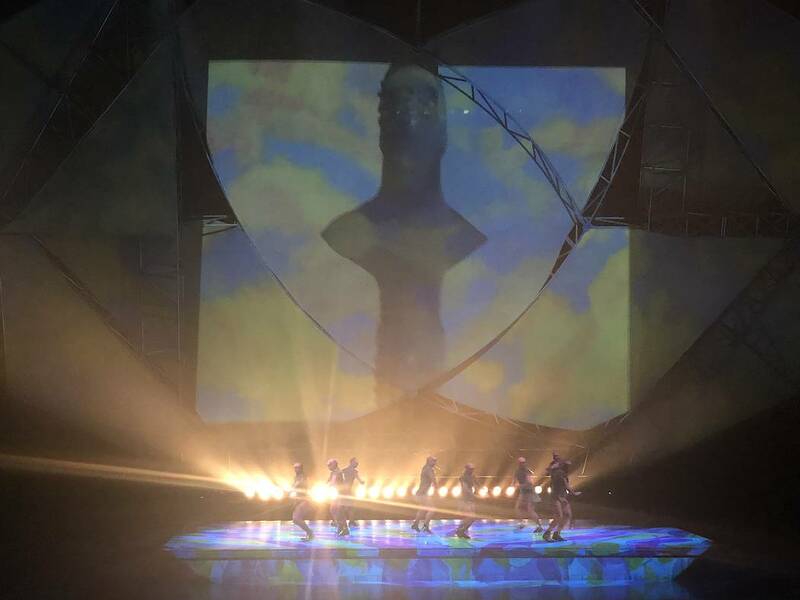 “ACS” is the annual collaboration between Cirque du Soleil and NBT artists. The event is set for 1 p.m. Sunday, and again at 1 p.m. Oct. 13-14. This year, for the first time, the format is seamless — no breaks in the action. Also, “Love” at the Mirage artists Jason Plowman and Alex Yankovich have choreographed an Andy Warhol-inspired number with 26 NBT Future Dance Scholars, the first time the kids are part of the production. This is how we, you know, clown around on the Strip. More from this scene, and elsewhere. Our friend and all-time column fave Paul Shaffer played it coy about bringing “my old boss,” David Letterman, to the stage at Cleopatra’s Barge at Caesars Palace in September. Not this time. Shaffer’s list of drop-ins for his next run with the Shaf-Shifters is already mapped out: Singer/songwriter Lamont Dozier of legendary Motown hit-making team Holland–Dozier–Holland on Thursday, legendary magician David Copperfield on Friday, and comic/actor Richard Belzer on Oct. 13. We are not ruling out other stars ambling in, either. Sebastian Maniscalco has a “bad gig” story. It’s also kind of a “bad boxing’ story. 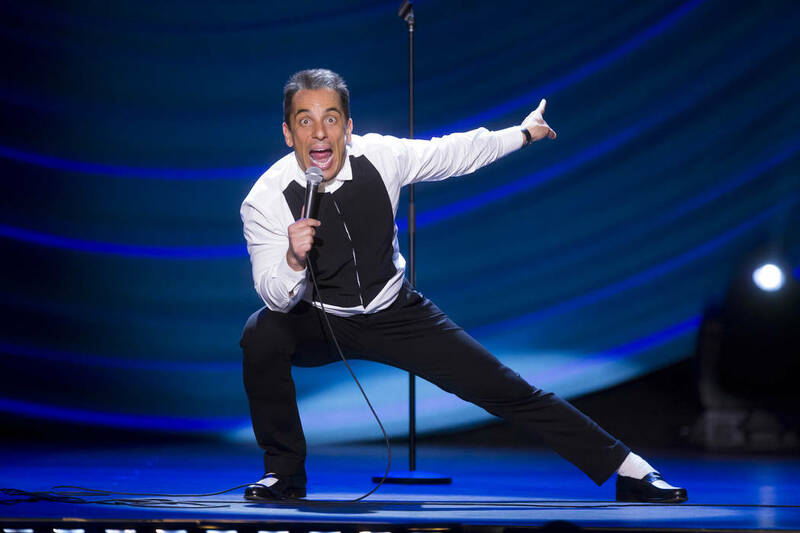 Maniscalco, headlining the Colosseum at Caesars Palace on Saturday and Sunday, once performed at a comedy club-slash-boxing gym in Manteca, Calif.
Maniscalco has discovered the comparative luxury of playing the Colosseum. “I have realized, since my last appearance there, they have this wall-to-wall screen that Celine Dion uses,” Maniscalco says. 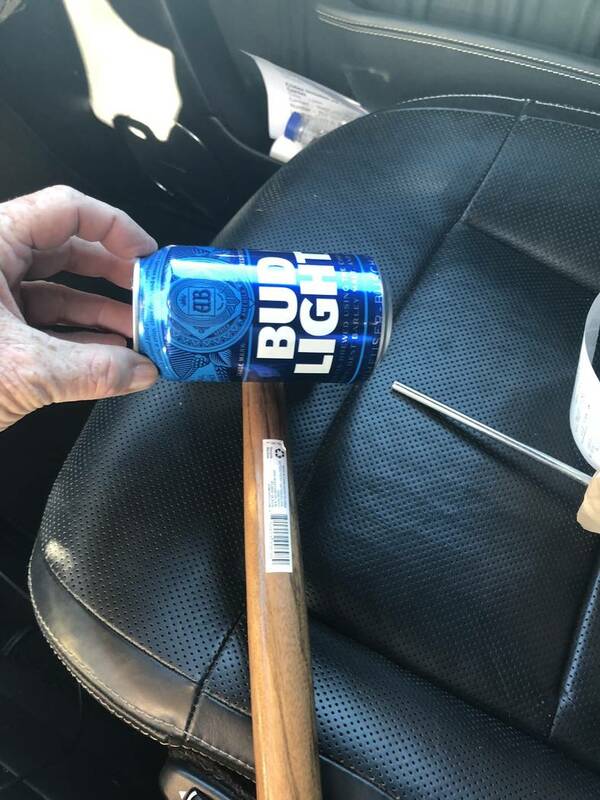 “I said, ‘Let’s fire that up! I wanna see how that plays!” The gloves are off now. Jimmy Kimmel grew up in Las Vegas, which means he is received a little differently around town than he is in other cities. Lady Gaga’s numbers are hot — hot, I tell you! — with her early shows nearly sold out through this year and into next spring. The advance word is for those interested in seeing her at The Park Theater to start with June. This is not hyperbole, either. The sales are fast, and I’ve also heard that those who have seen preliminary concepts of her show have been wowed at her adventurism. “Enigma” opens Dec. 28. We were up close, and personal, which is also the name of Wayne’s show at Bally’s and that’s where he was heading.